Effectively the best way to describe this is its \'local people looking for local services\'. Also, it\'s like an online \'word of mouth\'; I\'m more inclined to choose you over someone else on the basis that you have more reviews than other businesses, so it also gives you more credibility. NEW DOMAIN: The turnaround for building websites is 2 to 3 working days, the team will make you aware if the turnaround is longer - We\'ll send you an email to confirm when your first draft is ready. DOMAIN TRANSFER: I will now submit your information to the website builders, now we are just awaiting your domain name to transfer to us. You\'ve already been sent an email in regards to this so give our team a call if you have any issues with your domain transfer. UNDECIDED DOMAIN: I will now submit your information to the website builders, now we just need to decide on your new domain name. The team will be in touch soon to decide on your domain name and publish your website. (Our number is Freephone 08000 124 424). (Our email address is hello@soletrader.com). (Our office address is: 35 Britannia Row, London, N1 8QH). \'Thanks for your time and I\'m sure we\'ll speak soon!\' "; $array["notes"]="
"; $array["domainBuilderNotes"]="Colour Scheme: Blue & orange Colour Scheme: Blue & orange THIS IS A VERY PRELIMINARY WEBSITE - Most details not yet finalised yet. This is to get a starting point while they sort the rest out. Customer will e-mail across content and details as this is done. Will set up a new free e-mail address for this company which he will e-mail to us once done, will want forwarder set up for this new e-mail then. *Service locations not applicable as this is a site-based service, but will be aiming advertising at certain areas. This is also not finalised yet. *"; $array["domainCallback"]="0"; $array["domainCallbackNotes"]=""; $array["newline"]="
Flexible Domestic and Commercial Self Storage for all your storage needs. Welcome to HMF Self Storage webpage. We are a small family run business that offers affordable and flexible solutions to your storage needs. 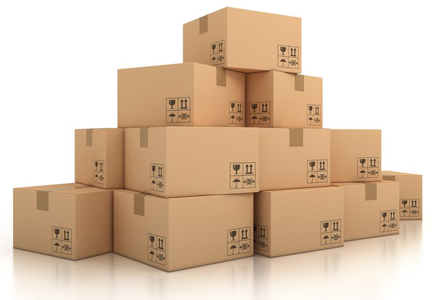 Whether you need additional space for domestic goods or business goods we can provide you with great value storage at affordable prices on flexible terms. We have lockable storage rooms of various sizes which only you hold the key within a secure building with 24 hour CCTV and electronic access. You will have the freedom to access your unit from 7am to 9pm seven days a week or outside these hours with prior arrangement. Once you have hired some space you are free to use it more or less as you choose, move possessions to and from the unit whenever you please and keep them there as long as you want. We offer very flexible terms so you do not have to commit for any long periods and no deposits are required. We are located between Thornbury and Falfield and easily accessed off the A38, just one mile from the Wyevale Garden Centre on a small business estate. We are only a short distance from Junction 14 of the M5 motorway heading south on the A38. We are open 7am to 9pm, 7 days a week, every day of the year! Minimum period of 4 weeks; terminate with only 7 days notice.